Joseph Payson Buckland, son of George W. and Lydia (Wood) Buckland, was born in Chicopee Falls, October 6, 1836. He was educated in the Chicopee Falls public schools and in Williston Seminary. Mr. Buckland was graduated from Yale College in 1857 with degree, A.B. 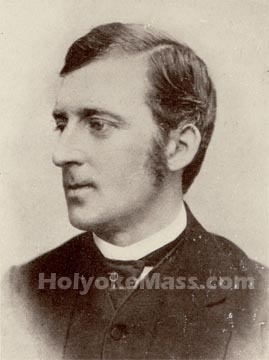 In October of that year he began duty as principal of the Holyoke High School, which position he filled until December, 1858, when he resigned to study law. He was invited to return to the principalship in April, 1860, and continued until March, 1863. He was then elected superintendent of schools and served two years. He studied law with Judge W. B. C. Pearsons, with George M. Stearns of Chicopee, and with Judge Clark of New York. In October, 1865, he was admitted to the practice of law in the courts of the Commonwealth of Massachusetts. He immediately entered a partnership with Edward W. Chapin, later Judge. After a year of practice he associated himself with T. A. Curtis of Springfield in the practice of patent law. In 1871-1872 he served one year on the Holyoke School Committee. In 1871 he was appointed judge of the police court in Holyoke. He served in this position until January, 1877, when he resigned to enter a partnership with A. L. Soule of Springfield. He died October 25, 1879, at the early age of 43.